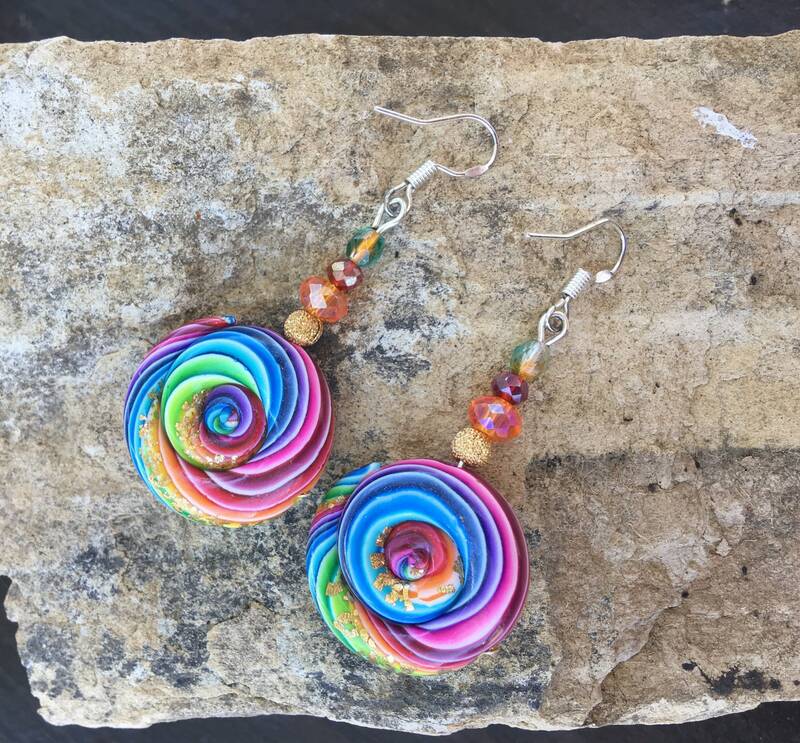 These stunning, rainbow swirl, polymer clay beads are paired with Swarovski, Czech Glass and metal sparkle beads. 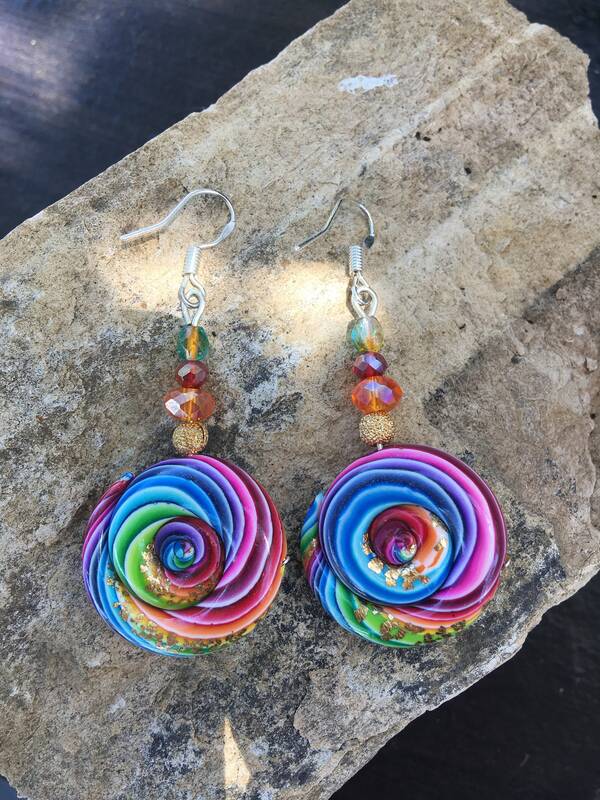 Beautiful swirls of bright colors with the accenting beads, make for a very pretty, interesting pair of earrings. Unique and one of a kind! 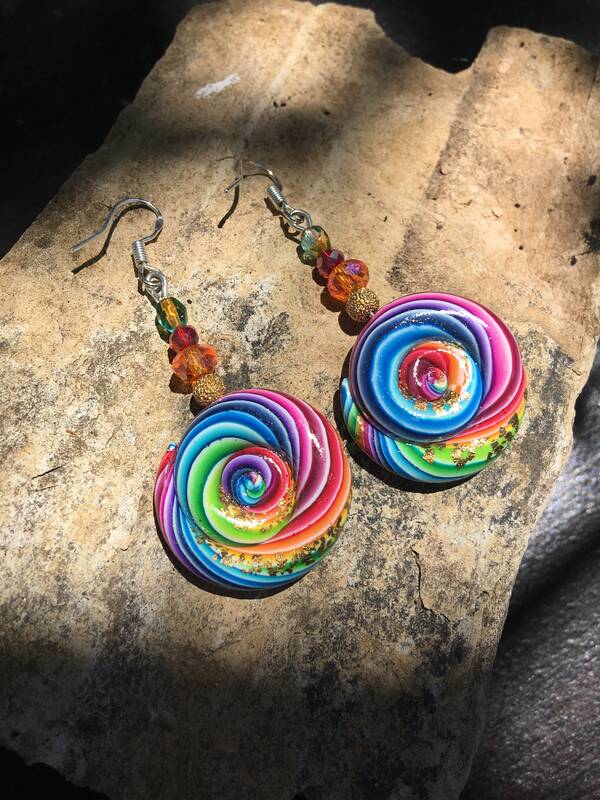 They are 1 1/2" long.